Ever since the Atkins Diet shot to fame in the early 2000’s, low carb diets have entered the public nutrition thinking. They have been credited with dramatic weight loss, clearing up ailments, allowing some astonishing dietary choices and changing the public nutritional thinking forever. Essentially the low-carb theory (the one that binds a lot of these low carb diets together) goes that if you reduce your carbohydrate intake you force your body to using fat as a main fuel source. The longer this process occurs, the more fat you lose. It also claims that it’s an easy way to lose weight because as long as you keep your carbohydrate intake low enough, you can eat a whole load of fantastic foods such as bacon and sausages, burgers and cheese, steak, eggs etc. Lose huge amounts of weight eating amazing food and feeling great! Sounds fantastic doesn’t it? That’s the marketing claim anyway. The reality is slightly different. The Ketogenic (keto) diet is an extreme version of low-carbohydrate diet. It actually has its origins in the medical world, where it has been used to effectively treat conditions such as epilepsy, diabetes, PCOS, cardiovascular diseases etc. 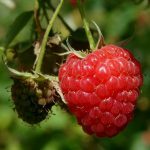 It has also been experimented with as a possible diet that could have beneficial effects when it comes to cancer. 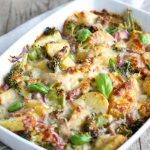 The research on a lot of this is showing potentially ground-breaking effects from this form of extreme low carbohydrate eating. Ketosis is a metabolic state in which some of the body’s energy supply comes from ketone bodies in the blood, in contrast to a state of in which blood glucose provides energy. Generally, ketosis occurs when the body is metabolising fat at a high rate and converting fatty acids into ketones. Essentially the ketogenic diet keeps carbohydrates so low that the body is forced into burning fat for fuel. This is different from ‘low’ carbohydrate diets, where the body is forced to burn slightly more fat for fuel, but still has a carbohydrate source as well. How Do You Reach Ketosis? There are a number of ways you can enter ketosis, but the most important are nutritional – you absolutely have to cut your carbohydrates right down to almost zero. You can then take exogenous ketones to help speed the process, alongside using MCT (medium chain triglyceride) oil and exercising daily to burn off additional carbs. Getting into a state of ketosis takes a little time – anywhere between 24 hours and a week, depending on a number of factors such as your diet, body type, age, activity levels, previous health history etc. It’s not the same for everyone, but typically speaking the more used to ketosis you are, the quicker you’ll enter a ketogenic state. You will also need to assess where you are by testing your urine with ketone strips that will help you determine whether or not you are in ketosis. Once there, it’s a question of regularly testing to ensure you remain in ketosis and make nutritional/activity adjustments accordingly. There are other, more observational signs but they are anecdotal and not especially accurate. If Carbohydrates are Removed, What Do You Eat? Your diet will be mostly (around 70-80%) fat, which is a huge change for most people. 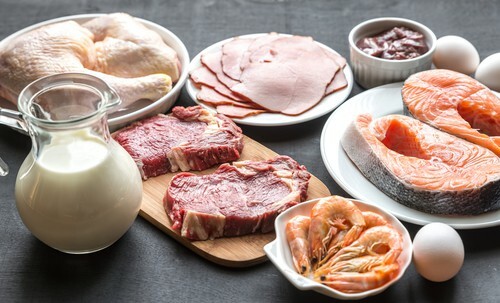 Protein will make up most of the rest, with around 5% coming from carbs (usually naturally-occurring sugars in the meat and limited vegetable elements of your diet). If you can get over the psychological hurdle of eating so much fat, you’ll probably be OK! Obviously care has to be taken on the keto diet to ensure you stay in ketosis – if you consume too much carbohydrate you’ll slip out of ketosis and start using those carbs for fuel. Regular testing is imperative if you are to stay in ketosis. For beginners to ketosis, it’s worth investing in a few ketosis cook books to give you plenty of recipe and meal ideas that will keep you on track. How Do You Feel in Ketosis? Once you have become fully fat-adapted, people report feeling amazing – full of energy, they lose weight and many ailments typically clear up. However, in the process of reaching ketosis and fat adaption (when your body is used to using fats for fuel), most people report suffering from ‘carb flu’, where they feel terrible – headachy and tired as their body undergoes an almost ‘cleaning out’ process. There are a lot of people who also report they struggle to manage more intense types of exercise whilst in ketosis, but there are ways in which it can be achieved. It’s a case of testing how you feel and adjusting your exercise accordingly. Some athletes maintain a ketogenic diet, so it’s worth doing some research and experimentation. 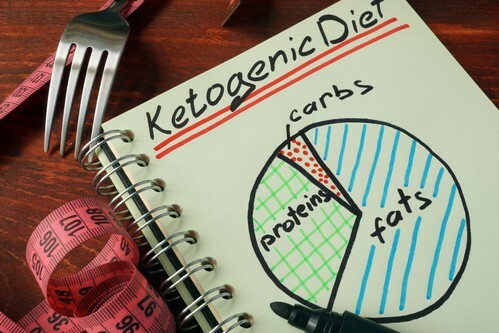 Is a Ketogenic Diet Easy to Follow? The short answer is no, it’s not. As a lifestyle it is very restrictive and to follow a ketogenic diet you will have to dedicate a lot of effort and focus – it’s so easy to slip out of ketosis, so you have to be very careful. Of course it’s not impossible, it’s just very, very difficult for most people and if there aren’t any real, mostly medical reasons for you being in ketosis, there are many more diets out there for you to try. By all means give it a go, but be aware at the very start that it’s not easy to follow and you may suffer with a week of ‘carb flu’ before you start to feel better. If you can make it through the carb flu and the restricted menu, proponents of the diet report you’ll feel better than ever. It’s taken on an almost religion-like status amongst fans of the diet who have credited it with their huge weight loss and feeling better than ever. Give it a try – you may agree with them!